You guys know we try to stay pretty chemical-free around here, especially when it comes to our little fellas. A while ago I talked about how we ditched our conventional personal care products in favor of some safer alternatives, and then did the same with our cleaning products. But there's another big area we've also been addressing, and that's the actual medicine part of our medicine cabinet. Not that we think medicine is all bad. It definitely has it's place and we use it when we have to. But before we go running to chemical products that suppress symptoms, we want to give our immune systems the best chance to fight off illness. So immune-boosting foods and supplements have been our first step. 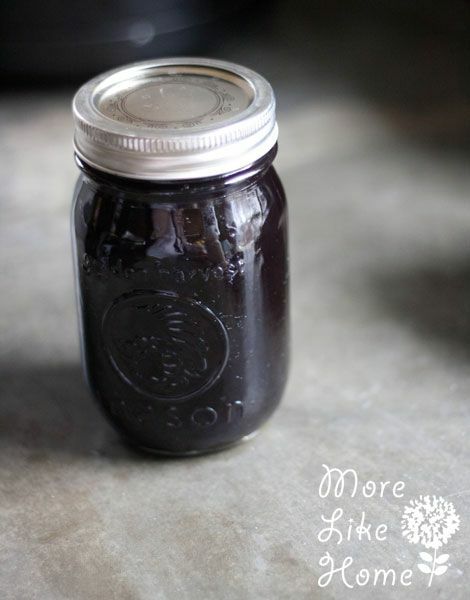 One of our very favorites is this homemade elderberry syrup. Elderberries are high in vitamins A & C, stimulate the immune system, are high in antioxidants and are anti-inflammatory and antiviral. This syrup tastes pretty good so we have no trouble convincing Big Brother to have some, it packs an immune-boosting punch, and it costs a fraction of the commercially available stuff. Plus it's super easy to make! We bought 1/2 lb of elderberries and I think we will get four pints of syrup from it. Extra berries can be stored in the freezer to keep them fresh. 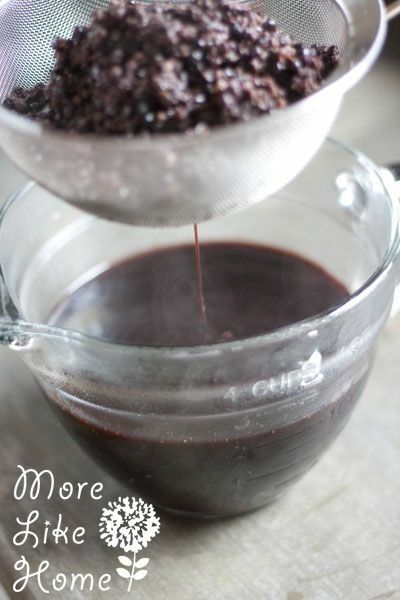 Once it had cooled a bit, pour the mixture through a mesh strainer to filter out all the berries and spices. 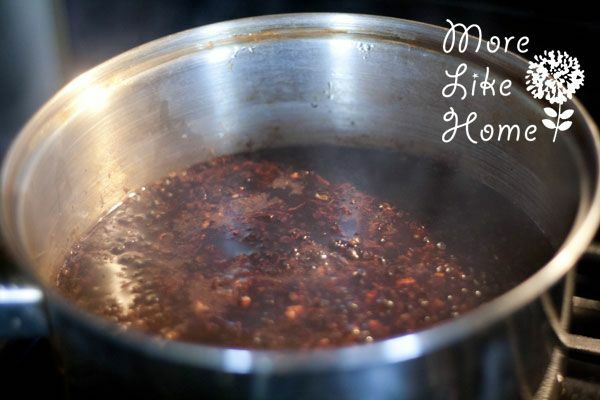 While it's still warm add the honey and stir until it's completely mixed in. Store your syrup in an airtight container in the fridge and it will keep for up to three months. The dose sizes are 1 Tbs for adults and 1 tsp for children over age two. You can do up to one dose every hour while they are sick and we also give them a dose when they start showing any hints of sickness, and sometimes just for good measure if we've been around someone sick or if they are going to the nursery at church. 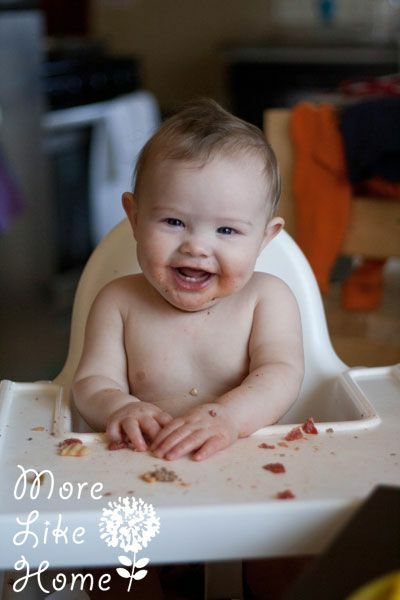 I do 1/2 tsp for babies over age one, but it's not recommended for babies under age one due to the honey content. So, as always, do your research and use your judgement. :) Last ear I used some of our elderberry syrup to make these fun gummies for Big Brother. It was an easy way boost his immune system and he thought it was a great treat! 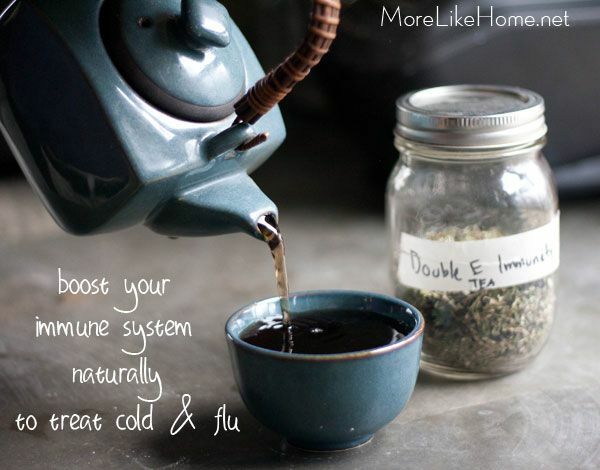 Immune Boosting Tea - I brew a cup for myself or the boys when we start feeling sick. 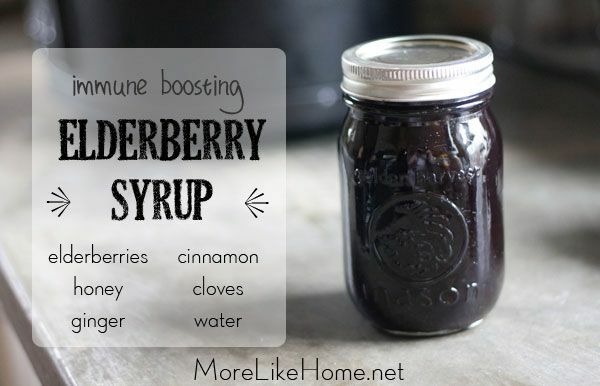 Great for the immune system plus it's warm and soothing. Mix in a little raw honey for extra yummy! 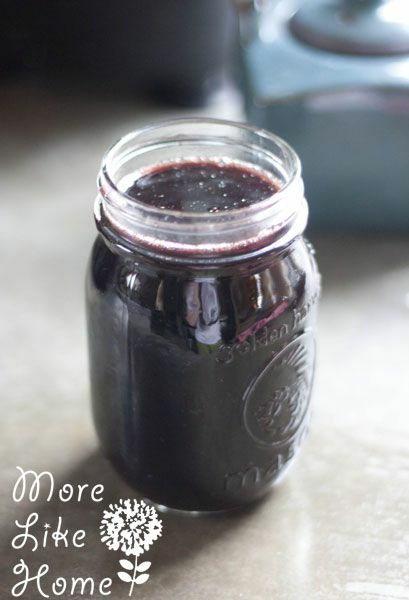 Goot - This is so easy to make and great for any kind of sickness! You can see the recipe here. Our favorite way to use this with the boys is to rub it into their feet and then put socks on, especially while they sleep. It can also be used on the chest to treat coughs, and behind the ears for ear infection. Garlic can bother sensitive skin, so use caution on tiny guys. Slippery Elm Bark - This is great for sore throats and also helps with intestinal trouble and diarrhea (a.k.a. mom's worst nightmare). We use it when the boys do a lot of coughing to help sooth their throats. The easiest way to get them to take it is to mix the powder with some raw honey to make a thick paste. I roll small bits of it into ball for them to eat throughout the day. These are few things I've added to our list for this year, but I haven't tried them yet. We'll probably get a chance before too long, though! So far we've had good success treating our boys with natural immune boosters and had only one trip to the doctor last winter. 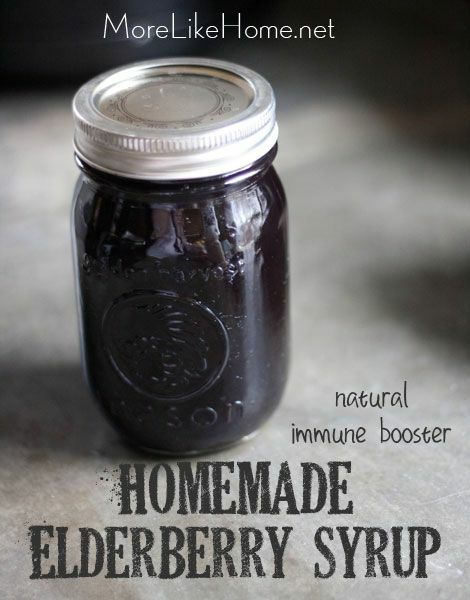 There were a few days we lived off our top four - elderberry syrup, immunity tea, goot, and slippery elm bark - but they bounced back quickly and we are glad to be able to help their immune systems grow and do their thing (plus we feel much safer giving them these things before resorting to other medicines). Tiny confession: I started this post last winter and just now finished it. When I started I added these pictures of the tiny boys. Let's not talk about how fast they grow, mkay?